click here Wood-burning stove, exposed beam ceiling, loft bunk. 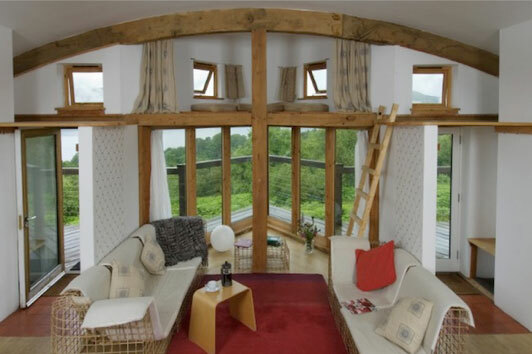 It sounds like the perfect home-away-from home, but it isn’t a cabin. It’s the new version of the old-school hunting shack — a shipping container cabin. Today, outdoorsmen and women are converting shipping containers into custom tiny homes for adventure and recreation in the wild. 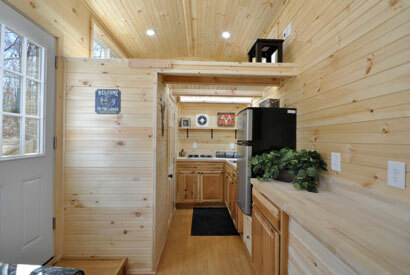 click here Many outdoorsmen and women keep their tiny hunting cabins simple, designing them with a small kitchen, bed and bathroom, in addition to proper insulation against the elements. Others add important features like a built-in gun safe, hoist and wood-burning stove. 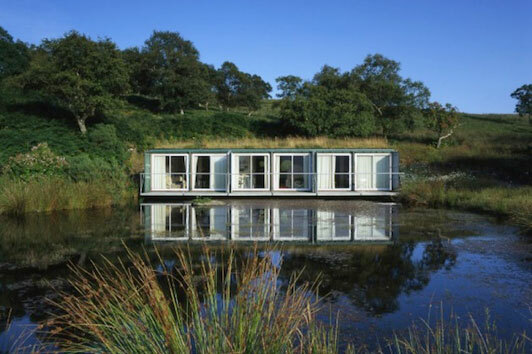 buy now Here are a few cool shipping container cabins perfect for people who want more of the great outdoors with the comfort of a cabin with optional mobility. Kristopher Angstadt, CEO of Hunting Shacks told GrandViewOutdoors.com, “I’ve been a hunter for many, many years. I wanted something that was well-insulated… something that felt like a cabin [and] would fit in well in the woods.” He had this tiny home built with materials meant to last up to 30 years, with pine walls, a full bedroom, a kitchen with a butcher-block counter top, and a living area. And it’s mobile. Fish off your front porch? This little cabin is multiple shipping containers welded together with floor to ceiling windows and loft beds for your family or guests. Shipping containers can serve as some of the raw materials to create a home with the features you’ll love. 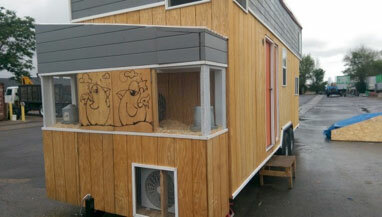 The owners of this tiny house made their cabin mobile, and added an indoor climbing wall and a chicken coop. This fisherman goes the inconspicuous route with a full on-camo shipping container home. An off-the-grid, eco-friendly choice, this outdoorsman’s getaway doesn’t disrupt the view of the wild. No matter what activity it is that connects you to the wilderness, it’s better when you are in a place you love for as long as you like. 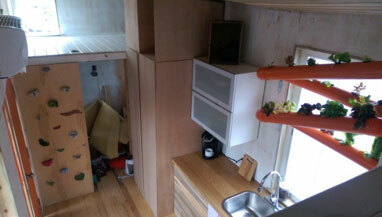 Do you want to learn more about building a shipping container cabin or tiny home? Citi-Cargo & Storage sells new and used stackable storage containers that can be used to build the perfect hunting shack or lake cabin in the Midwest. Learn more.